Interactive project (Lisbon), collaboration with Swedish artist Gabriel Bott. 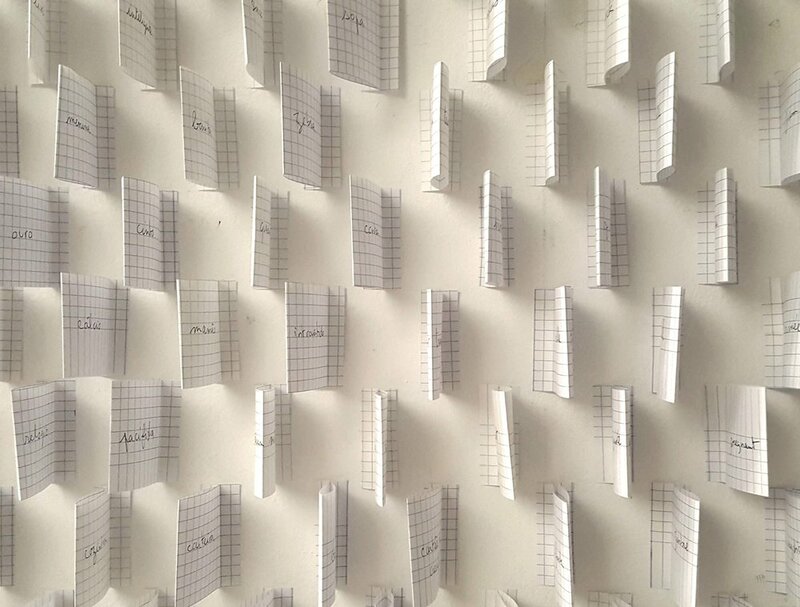 Site-specific installation (Lisbon), paper and ink. This work explore the subject of language and language barriers. 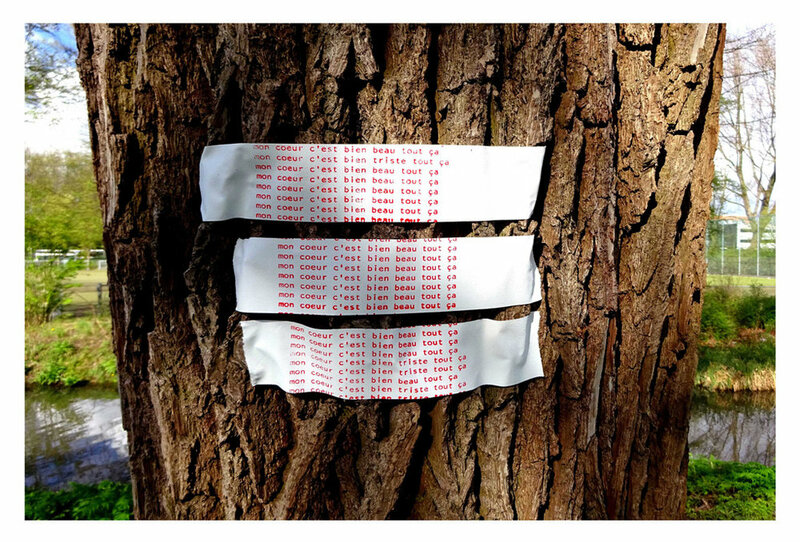 Site-specific installation (Amsterdam), risography on archival paper. My heart this is all so beautiful, my heart this is all so sad. 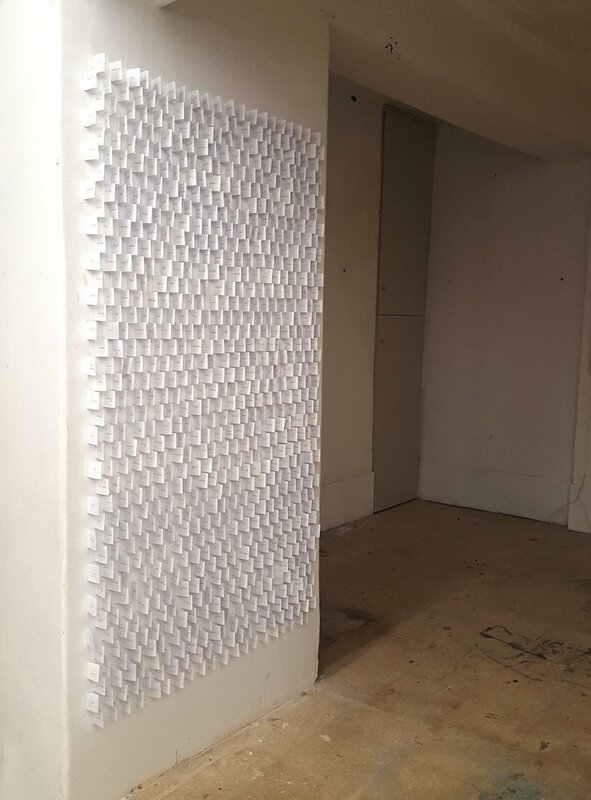 Digital print of site-specific installation (Amsterdam) on archival paper. Each year, the City of Toronto invites local area artists to submit proposals to create art on City traffic signal boxes at various locations throughout Toronto. 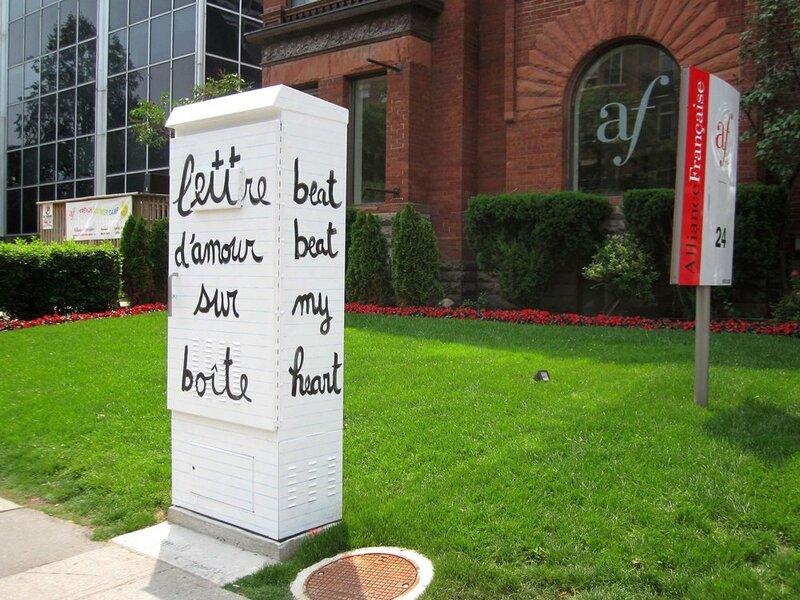 In 2015, I was selected to paint the box in front of the Alliance Francaise at 24 Spadina Rd.